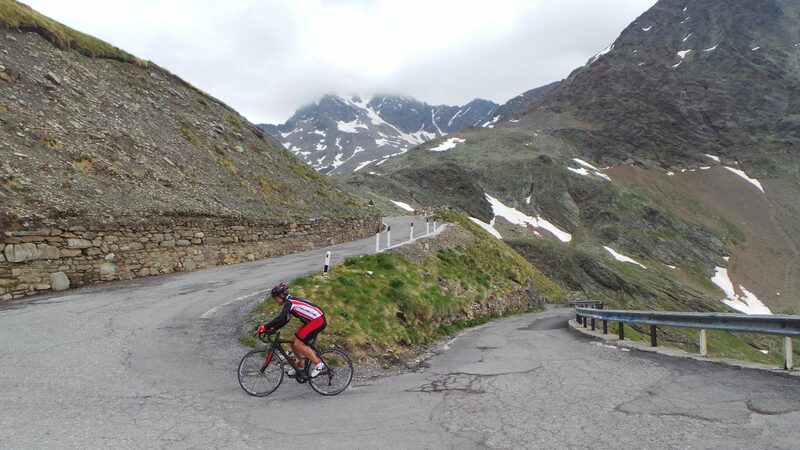 The Bormio side of the Gavia is considered the easier climb: 1,400 meters of elevation over 25 kilometers. That’s a mere 5.5% average, but 900 of those are in the second half, which means the average grade goes up to 7.2%. Coupled with the freezing cold and windy stretches in the final kilometers, the word “easier” quickly loses its appeal. The best part of the climb is the stretch “in the woods”, shortly after leaving Santa Catarina Valfurva and before reaching the open. I eventually had to change cloths, because it was getting too cold – at the summit, the “rifugio” was as warm a place as I remembered. After a short coffee break, we descended towards Ponte di Legno, which is a horrible descent in the upper part. After soaking that in the tough part of the wood covered stretch from this end – where the grades get up to 18% – I switched to a long sleeved jersey again for the chilly final kilometers. Although it was slightly less windy on this side, I experienced the same (near) freezing temperatures. 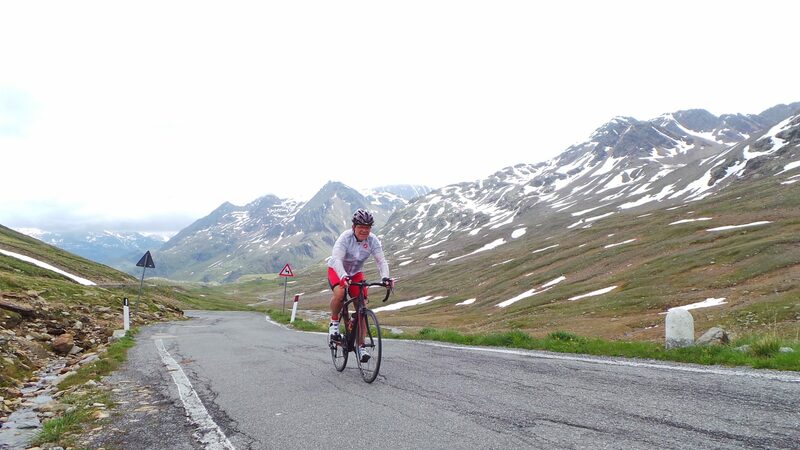 I decided to head down to Bormio immediately – well, after changing into my arctic gear – and during the lower part of this descent, I was fighting a headwind as tough as the ones I get to endure back home.